Our basic Marketing Jumpstart package includes all of the essentials to get your marketing off the ground! 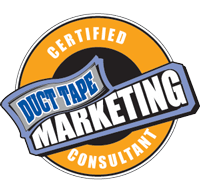 Take your business marketing and website to the next level with the Duct Tape Marketing Catalyst Program! The Marketing Department is our most robust and complete digital marketing solution for businesses of all sizes.